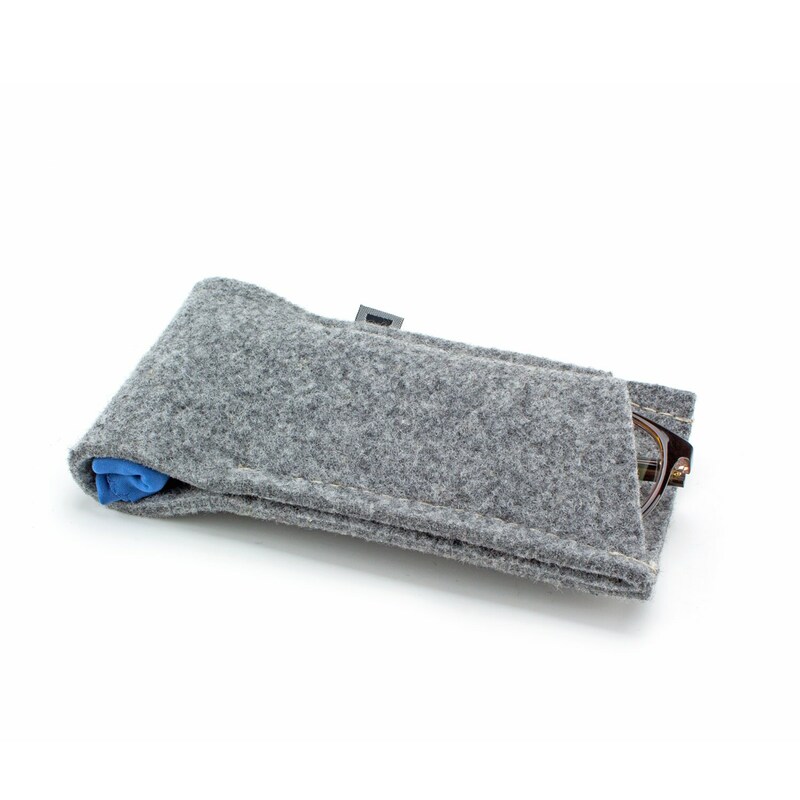 The glasses case is made of DARK GREY wool felt. Note: Because every screen is different the colors of felt could be slightly different in person. 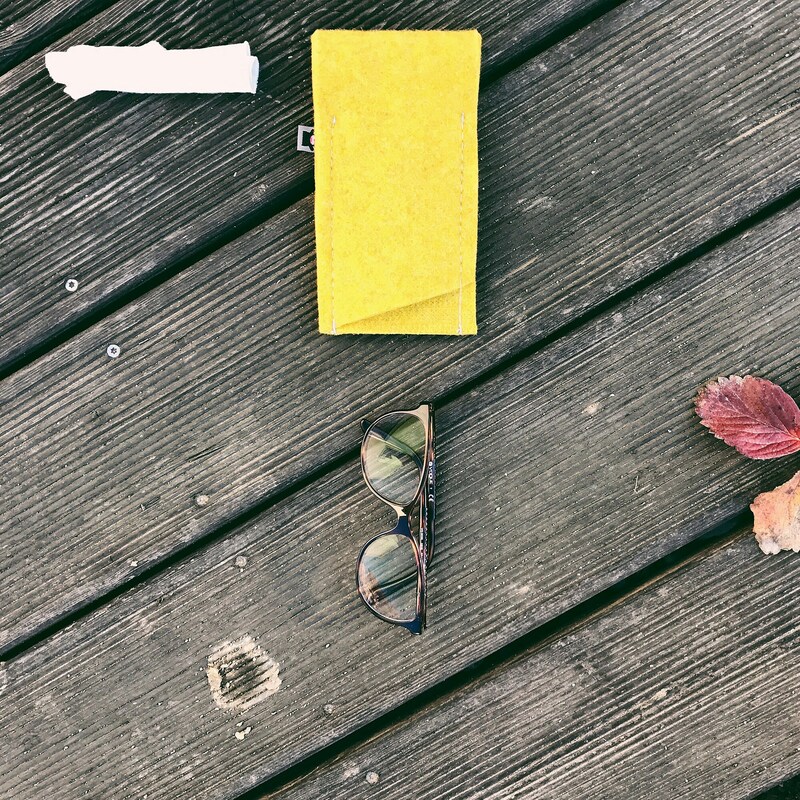 WHAT MAKES OUR GLASSES CASE UNIQUE? 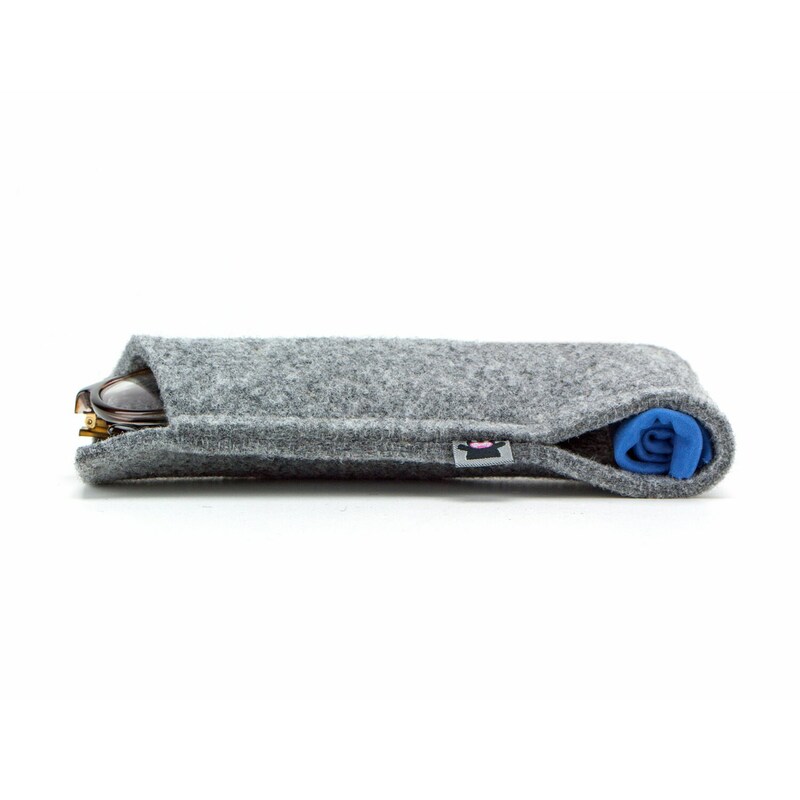 The MadeByBears glasses case is handmade in Slovenia. 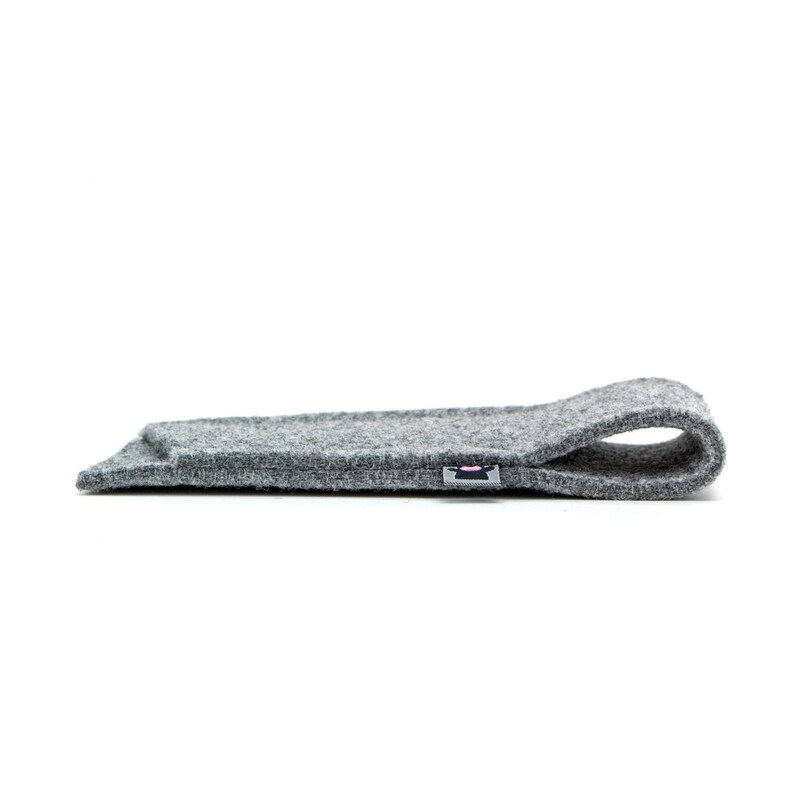 It is made of wool felt, a sleek, lightweight and durable material. 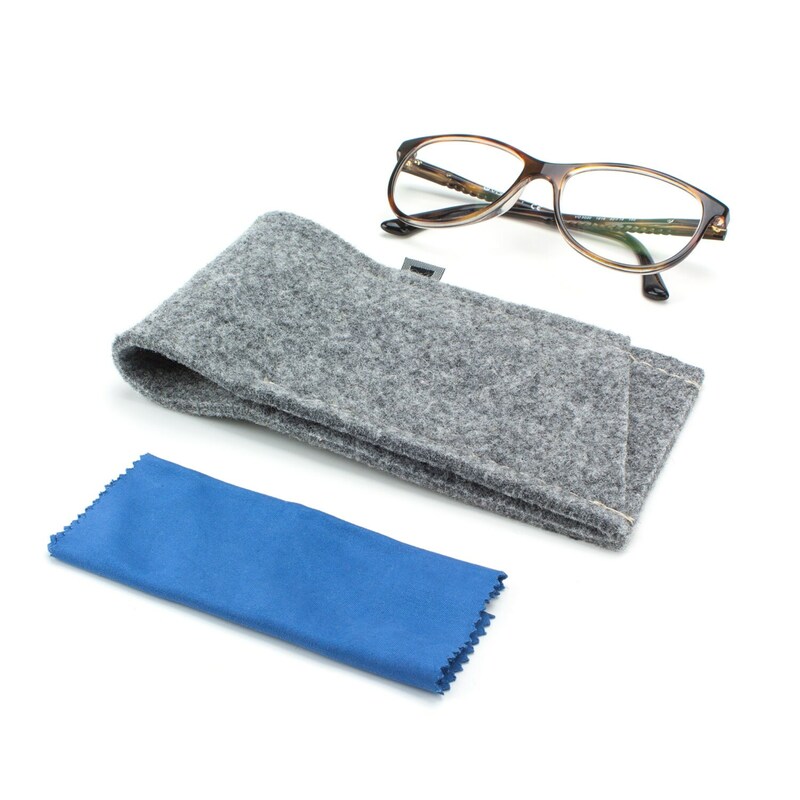 5 mm thick felt provides scratch protection for your glasses while you are storing them in your handbag. Despite the snug fit it is always easy to take the glasses out of the case. HOW TO TAKE CARE OF THE GLASSES CASE? Any beautiful product - especially if it is entirely handmade - deserves to be taken care of. Brushing the case with nicely warm water from time to time will keep it smiling for a long time. Try not to use harsh cleaning shampoos. After that just let it breathe for some time so it completely dries out. You can also wash it in a washing machine on 30 degrees celsius (wool program) with wool detergent. Want to add a custom touch? You can choose between different felt colors. Request a custom order or contact us if you have any other questions.